Very interesting reviews, Judy. Thanks. Thank-you, Chelsea. 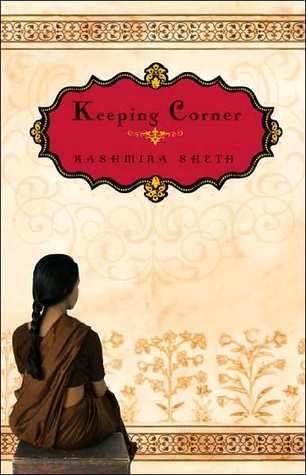 Do you have a favorite India book? That was absolutely fascinating. I was particularly interested in what you wrote about the status of widows, and the video on untouchables was hugely interesting. I was also interested to hear that the origin of caste is a moot and debated point. It does seem a strong part of Indian culture though, particularly in the rural areas. Thanks for giving us so much to think about! Thank-you, Caroline! I know you have read about India recently, too. Did any of what you learned intersect with this topic? If so, I would love to hear about it! * Problems between castes are not just about high level castes treating low level castes badly. A lot of the different untouchable castes have issues between themselves too. If the untouchable castes could all vote for the same political party they would be the strongest party in India, but instead they all vote for individual politicians representing their different factions. *Caste prejudices are much more common in rural areas than in the cities, but even in urban areas there are barriers - eg people seldom marry outside their caste. * Every week in the news you hear reports of people attacked or killed as a result of caste violence. Anyway, that is my tuppence worth! Thanks, Caroline. Very appropriate information. Until I had read the comments on your review of the book you mentioned, I never realized that the caste system still existed (even if it is unsanctioned and informally practiced). Since then I have done a little bit more research and that is how I came across the dating site that I linked for the Vaishaya caste. That shocked me that it is still so important to marry within the caste for many. I will definitely be adding the book you mentioned to my survey of India! Yes, your link to the matrimony site was very interesting. Not least because the people advertising there seemed highly educated - and yet still caste was obviously of major importance to them when seeking a partner. "The Toss of a Lemon" sounds like a really interesting book, and I will have to look into that. I like your last thought. There is often something good in ideas that are hugely problematic as a whole concept. It will be a long time before we will see a healthier India though I think. Such huge social changes take a lot of time. "It will be a long time before we will see a healthier India though I think. Such huge social changes take a lot of time." I believe you are right, SR. America is a good example of how long it takes to overcome prejudices.